What is the name of the renter? What area of Houston are you interested in? When is your move date? It is best to start 8-10 weeks in advance. What is the maximum rent you will consider? How many bathrooms? For example, if you need a 2 bedroom, is a 2nd bathroom required? If yes, what is the weight and breed? Do you need a washer/dryer connection? Or do you need a washer/dryer in your unit? 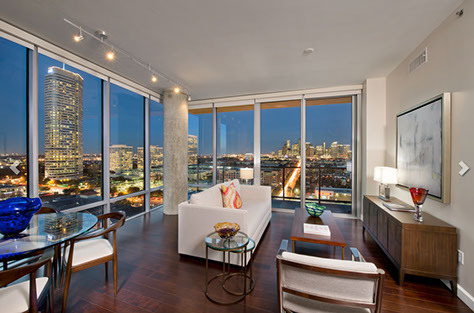 Based on your specific situation, I will provide a list of apartments with photos, prices, floor plans and specials. In most cases we will revise this list several times before you are ready to start visiting properties. The more I understand what you are looking for, the more accurate I can make recommendations. Although our fee is paid by the apartment owner, they do require the renter to write Apartment Stop on all paperwork. When visiting different properties, you will be asked to fill out a guest card at every property. Some leasing agents will ask you to fill it out, most will ask you questions and fill it out for you. Every property will ask you "How Did You Hear About Us" - make sure you tell them Apartment Stop. Properties pay several fees to many companies, so it is very important they know Apartment Stop sent you. When you are ready to fill out an application at one of the apartments we recommended, you will also be required to write Apartment Stop on the application. Most properties do not tell us when your lease has been approved. Some properties feel this violates your privacy; it is critical that you call us after your lease has been approved. We will contact the property on your behalf and confirm the necessary information about your lease and process your rebate. Apartment locating is a real estate activity that requires our agents to hold an active real estate license. In real estate terms, one of our agents will be representing your interest when we speak on your behalf to each property. To make sure we represent you properly, we need to know the following information and then we can start your apartment search and make informed recommendations based on your specific situation. We are your advocate, so please let us know any important information that may affect your lease application approval. Our fee is paid by the apartment owner, so there is no cost for you to use our service.